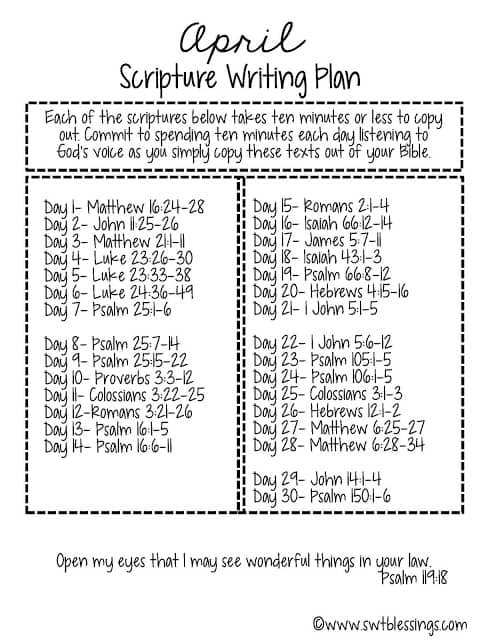 Shannon from Swtblessings.com has generously created another Scripture Writing Plan for April. I cannot tell you how wonderful these scripture writing plans have been for me. Writing out scripture allows me to focus on it in a way that is much more meaningful in my scattered mind. I’m able to slow my thoughts down, draw closer to Him, and really get inside the word in a whole new way. I encourage you to try this as the results can be life changing. 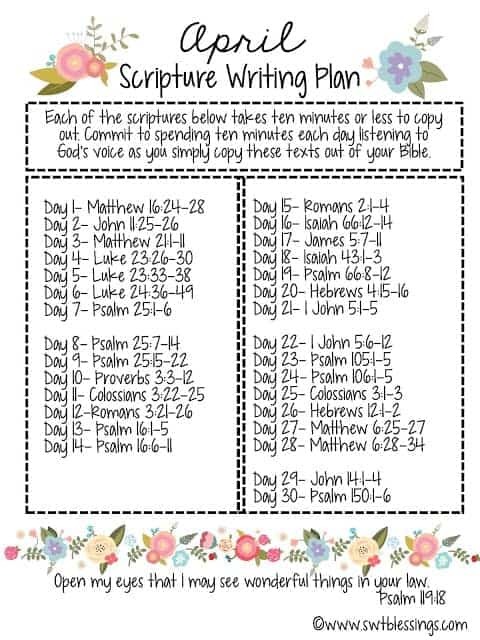 To open up a printer friendly version of any of these scripture writing plans, just click on the photo and it will open up in a page all by itself. This month we have THREE versions. English, Spanish, and even a non-decorative “manly” version for the folks in your life who want a few less flowers. You can find more wonderful creations by Shannon at her Etsy store (click here). 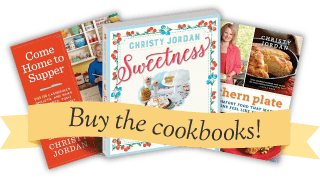 Chocolate Chip Butter Bars & Teaching Kids To Cook Guide! 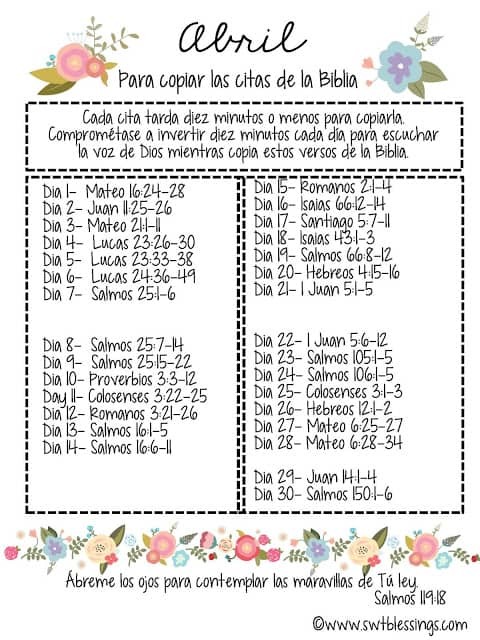 I did enjoy the March scripture writing plan so much, thank you for including the April plan!! It is such help to have the structure to accompany my regular daily Bible study. It is a blessing! I am so glad you are enjoying it Jennifer! Christy, thanks forswearing this simple, yet helpful plan. If I don’t meet you on this side, I’ll meet over on the other side in Glory. Limits shin to check before I hitthesend button. Th was meant to say, for sharing. Sorry..
OH no, not again. I checked that one. My spell check has gone crazy! Not limits shin! Supposed to be, I must begin. . I will be praying Patricia!!! I love the scripture writing plans. Thank you for them. I am so glad you are enjoying them Vonda!!! You are so welcome Allison, I hope you enjoy this months plan! !